Mystrium Camillae is a species of Dracula ant that is the fast animal on the planet, but not in terms of how fast they run. They snap their mandibles at a speed from 0 to 200 mph in 0.000015 seconds, 1,000 times faster than you can snap your fingers. Researches say this is the fastest animal movement ever recorded. They don’t snap them from open to shut though. They start with the tips of each mandible touching and the squeeze them together, causing them to bow with potential energy. Then they snap them, on sliding over the other. The force of the snap can break or stun anything that touches it. Except solid objects like a researcher’s forceps, in which case the forces sends the ant spinning violently away. Most ants engage in social food behavior. They will forage for food sources, like crumbs on your kitchen counter, and carry them back to the nest where they will share with each other and the queen. However, adult Dracula ant’s can’t consume and digest solid foods. But their larvae can. Sort of like the opposite of humans. They feed the larvae, giving them all the nutrients they need, but for a gruesome price. The adult ants tending to the nursery will make a small incision in the larvae’s body, and then they drink their blood. The blood is then carried to the queen for regurgitation. But, this is non-lethal. The larvae live through the process to become more blood sucking adults. But, under a microscope you can see that the larvae are covered in scars. Talk about a rough childhood. It’s important to note that ant blood is technically not blood. The substance that flows through bug bodies is called hemolymph, which is the name for the invertebrate version of blood. The blood of vertebrates like you me and your dogs contains red blood cells, which oxygenates our entire bodies. Because we have a closed circulatory system with arteries and veins and stuff, we need blood to carry oxygen from our respiratory system to the rest of the body. 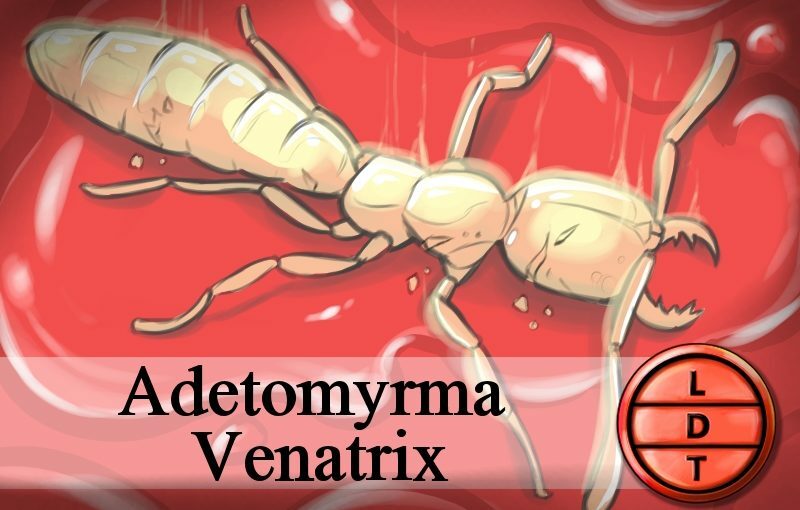 Invertebrates like the dracula ant have open circulatory systems. Oxygen often permeates an insect’s exoskeleton, oxygenating their insides. Because there are no red blood cells. So if you were picturing an ant with red liquid dripping from its mandibles, stop it. It’s more like a yellow or clear liquid. Well, if it was a mosquito, it was probably your blood or someone else’s that it just sucked up. Hemolymph is mostly water but also contains other stuff like ions, carbs, lipids, glycerol, amino acids, and hormones. That’s right, bug blood is full of fats and sugars, which makes it a good food source for animals like the Dracula Ant, certain types of wasps that also feed on their larvae, and spiders. Ants share food and even blood. Their social corporations would be touching if they weren’t so gross! But we can learn a thing or two from these sinister little insects. Proverbs 6 tells us to take a page from the ant’s work ethic, but we can also learn a thing or two from them about sharing. 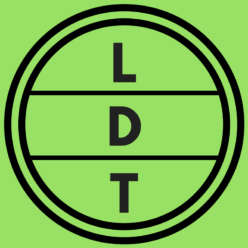 So look to the ant, oh sluggard, and share this podcast with your friends and family, and share your thoughts with us, by leaving a review on iTunes. Don’t just listen and regurgitate the information to people on the street! Lead them to the source. As always, thanks for listening and subscribing!